Lehi, Utah—September 24, 2018—With a focus on accelerating the success of its hundreds of large enterprise clients, MaritzCX has released new solutions to transform business operations, enhance culture and improve ROI for its clients’ CX programs. – CXEvolution® MaritzCX announced the expansion of CXEvolution in April 2018 and has seen significant results from organizations using the enterprise CX success model to develop an informed, strategic business case and roadmap for greater progress and success on CX action. Based on feedback results of 10,000+ CX practitioners, CXEvolution identifies how companies can drive action to maximize CX results by looking at six core areas: strategy, technology, people, customers, processes, and results. A CXEvolution engagement will determine an organization’s current CX success stage, develop unique practices and processes that integrate seamlessly into a company’s roadmap and provide predictive returns using its proprietary financial simulator. – EXMonitoring™ helps business leaders understand the employee experience (EX) to strengthen a more customer-centric business model and increase employee engagement. The solution offers event-driven employee touchpoint surveys, out-of-the-box dashboards, analytics, loyalty and employee reward metrics, and key employee benchmarking to better monitor and engage with employees to drive an exceptional customer experience. The platform connects to social sites, empowering highly engaged employees to share positive experiences. – Advocacy Board drives a customer-centric approach by highlighting the organization’s current customer experience pulse and ensures CX is integrated into a company’s culture. The MaritzCX Advocacy Board brings to life customer feedback from survey results, providing organizations with customer comments on big screen TV’s across client sites. By activating the CX program in such a visual way, frontline and executive teams can see voice of customer comments throughout high-traffic areas, bringing the customer experience to life and creating stronger, more real-time CX visibility for each department. – CXWorkflow™ is a data management workflow solution that helps enterprise clients quickly and effectively address the most demanding data needs for validation, structuring, cleaning, enriching, and combining data for use in CX programs. The user-friendly drag and drop interface create client-specific workflows to move data from its raw state to consumption and use based on the client’s needs for data cleaning, hierarchy, and quota management. – RocketCX™ is unique technology that combines flexibility with super-fast reporting calculation and display, rendering complex CX charts in milliseconds, and allowing field users across the enterprise to better consume and act on CX data. Other solutions in the marketplace stress flexibility over performance, or performance over flexibility, but MaritzCX uniquely offers both. Both RocketCX and CXWorkflow are part of MaritzCX’s RocketCX Architecture™ – a back office suite of enterprise products designed to help the world’s most complex CX programs scale with speed and ease. – Video Capabilities within the MaritzCX platform have been updated to offer richer insight and easier embedding functionality in dashboard reports for analysts and frontline managers. MaritzCX can mine videos and transcribe the media files into text for further analysis through its LivingLens partnership. Clients can create stories by combining snippets from video clips as part of the partner service that seamlessly integrates into the MaritzCX platform. – Digital Fingerprinting was created to detect survey manipulation and fraud, giving organizations additional means to detect anomalies. MaritzCX partners with digital fingerprinting suppliers to monitor unique devices entering its surveys. On panel studies, this technology can be used to block the same respondent from entering a survey multiple times. MaritzCX combines device data and other variables with survey data and unique identifiers from the sample file to build reports that help clients understand when survey manipulation is occurring. – Text Analytics Emotions can identify customer emotions in comments and other unstructured feedback, offering clients the ability to understand customers and craft actions. MaritzCX created a set of nine customer experience emotions that are used as a base for the analysis. These emotions can then be added to the existing text analytic category set and is available for analysis in all reporting solutions. Clients can also filter existing categories on emotions, understand the co-occurrence of emotions and categories, and understand the emotions expressed over an issue or isolated category. 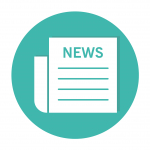 – Recovery-as-a-Service solutions are now available from MaritzCX. Clients can utilize MaritzCX global contact center staff to act as an extension of their service teams to do closed loop recovery calls, triggered by rules established in the CX program design and entered into the MaritzCX platform. These can include data integrated from CRM systems, and these teams can also do predictive recovery or upsell, based on segmentation patterns discovered by MaritzCX’s Spotlight data mining algorithms. Additionally, recent integrations with virtual assistant technology such as Alexa, and chatbots, near field communications (NFC) and other data collection technologies from MaritzCX help clients collect survey data in ever-more engaging ways. And, best practices in behavior science inform program design to improve response rates and customer and employee engagement. With strong growth around the globe, MaritzCX reached a record 1.7 million platform users this year and boasts a 96 percent client retention rate. Several technology integrations, services-based solutions, and key partner announcements marked major milestones in further demonstrating its position as the enterprise CX solution provider.